Schools are facing increasing financial pressures and growing demands on staff time; it’s a difficult balancing act for many heads and leaders who work hard in their efforts to help every child achieve their potential with limited resources. Yet those who embrace, and indeed support, the willingness of their parent community to get involved, could be reaping rewards to help lessen the burden. When parents participate in their child’s school life and learning that child does better emotionally, behaviourally and academically. At the same time, when there is good collaboration between home and school, a supportive network emerges that also benefits the school by enabling school improvement and policy development to be established with input from the families within the school community. Teachers, too, recognise the value of parental participation. In a Parentkind survey carried out in 2017 they told us that, when parents are engaged, academic achievement and pupil behaviour is better, there is less absenteeism and the collaboration creates a shared school ethos and culture, as well as having a positive impact on school decision-making. Parental involvement comes in many different guises; probably the most noted is as a volunteer supporting the school PTA, where they work hard to raise funds that go towards school enrichment or extra classroom resources that enhance learning. Mothers, fathers and other family members also offer their time freely to work on projects, such as painting classrooms or improving the school garden, assisting in after-school clubs or by becoming a governor or trustee and by joining the parent council or other consultative body. 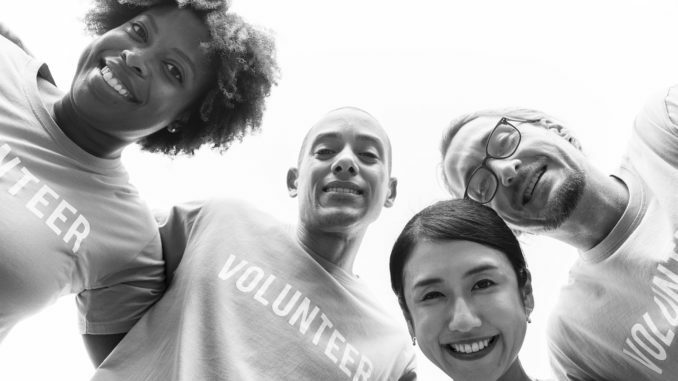 The beauty is that such a variety of volunteering opportunities also allows all parents to play a part – no matter their background or own academic abilities. Parents have always volunteered their time and skills in schools and their contribution is, without doubt, a valuable extra resource that savvy schools are learning to harness. In fact, according to the responses of a survey among nearly 14,000 Parentkind PTA members in 2018, mums and dads raised £108 million and spent 3.65 million hours supporting their schools in a range of different ways (which is worth £28.5 million based on the national minimum wage). This is no mean feat – and such a sum could simply not be drawn from any government budget. This is the tip of the iceberg, however, as many parents participate in their child’s education in myriad other ways – yet, while there is support from many on the one hand, there are those who are disengaged, or are not participating at all, on the other. The challenge schools face is in trying to identify and break down the barriers to engagement so that every parent is encouraged, supported and given the opportunity to participate fully, in a way that works for them, in their child’s education. Good parental engagement is the result of the work schools do to understand their local communities, identify obstacles and work through ways in which to reach those who are less likely to engage. Often, this can be because of cultural or language barriers – or perhaps some parents feel they do not have the time to devote, or the skills needed to participate. The commitment for positive parental engagement needs to come from the top, with senior leaders, trustees and governors buying into it from the outset.Our teacher survey revealed that less than a fifth of respondents said their school had a written parental engagement plan in place, and barely a quarter said their school had measures to track parental engagement. However, establishing a parental engagement strategy need not be complex. Parentkind has developed a ‘blueprint’ – or framework – for parental participation. It aims to inform policy, support practice and champion parental engagement in education. Our training workshops help senior leaders take a whole school approach to engagement, break down the barriers to participation and show how to establish parent councils that enable parents to input into school policies that affect them and their children directly. There are many examples of positive parental participation around the country, where mums and dads have worked with schools to ensure children are given the best opportunity to reach their potential. Those schools have worked hard to understand the barriers to engagement and been proactive about supporting parents to participate. By harnessing the power of parents, and working in partnership, schools can create many opportunities for children to have a positive educational experience. To find out more about Parentkind’s Blueprint for Parental Participation and training courses, visit www.parentkind.org.uk.